This is a review of a CD and a book, although there’s no particular reason to stop there. 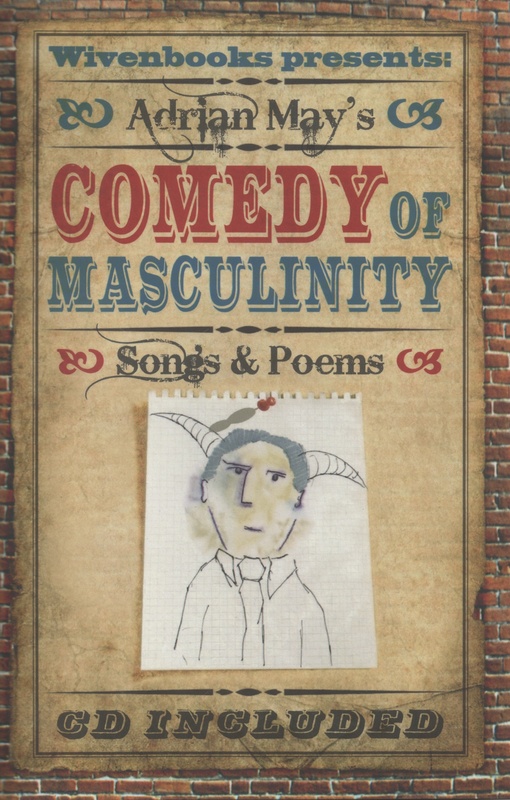 Adrian May is a performer, and although it says ‘songs and poems’ on the cover of his book, it’s pretty hard to draw a hard and fast distinction between them; poetry, music and performance in both modes seem all to be more or less equally important aspects of his creative practice. I’ve seen him perform, and I’ve made public some words on the subject, but the oddly arbitrary context to which I restrict myself here confines my attentions to the particular objects I have before me. Ordinarily this would be a CD, with a more or less extensive booklet, and I suppose I could reasonably enough treat the book as a particularly lavish booklet to accompany this album, but that would be a bit of a shame. I don’t think it’s really possible to separate these two artifacts: the CD is no more a freebie or a bonus with the book than the book is a guide to the album. I say this in the light of the specific character of the songs that are collected here, which is to say that they are not poems that have been decorated or ‘set’, any more than when you find them in the book they appear to be lyrics that have been lepidopterologically displayed on the page. A song, as I have argued at length in many reviews, is a whole, whose meanings do not, as it might be tempting to argue, derive equally from its musical and lyrical content in some kind of additive formula, but are to be found exclusively in the conjunction of the two, irreducibly immanent in the experience of listening and understanding. Obviously, to a xenoglot, the musical text will still register as meaningful, as will the lyric if it is read as a poem, and I have to admit that I often neglect to attend closely to lyrics when the music has my whole attention (partly because I’ve been so frequently disappointed by them), but there is a whole world of specific, un-paraphrasable significance to be found in the whole. Why eat a dry roll and some raw mince when you’re being offered a burger? Amazing review, Oli. You really dissect and yet capture the complexity of Adrian’s nuanced collection. you get to the heart in such a detailed and illuminating way, distilling the power of the performance/music with Murray on board. Really perceptive, interesting and mightily impressive. you steer with such a sure hand in the choppy seas of gender politics and get it so right, emphasising the humour, irony and self deprecation. Thank you.